is a football video game which follows International Superstar Soccer Pro developed by Konami Computer Entertainment Tokyo. 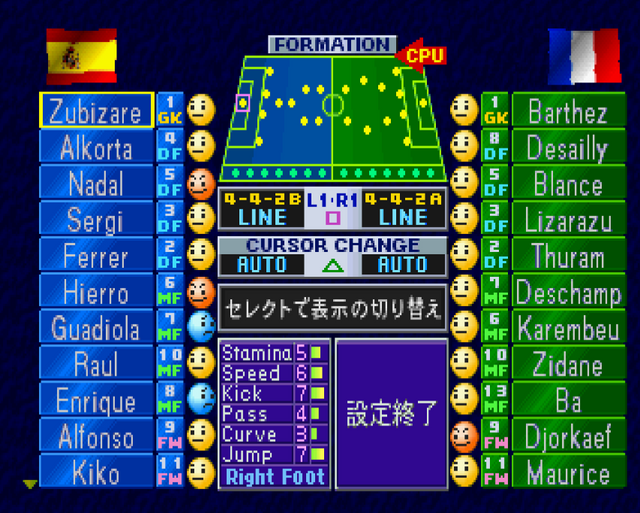 The Japanese version was re-released in 1999 as Winning Eleven 3: Final Version with some slight improvements. The English commentary for the game is provided by Mitch Johnson. Although it lacked FIFPro licence, it featured Italian striker Fabrizio Ravanelli along with German goalkeeper Andreas Koepke (on German release) and Paul Ince (on British release) on the cover. 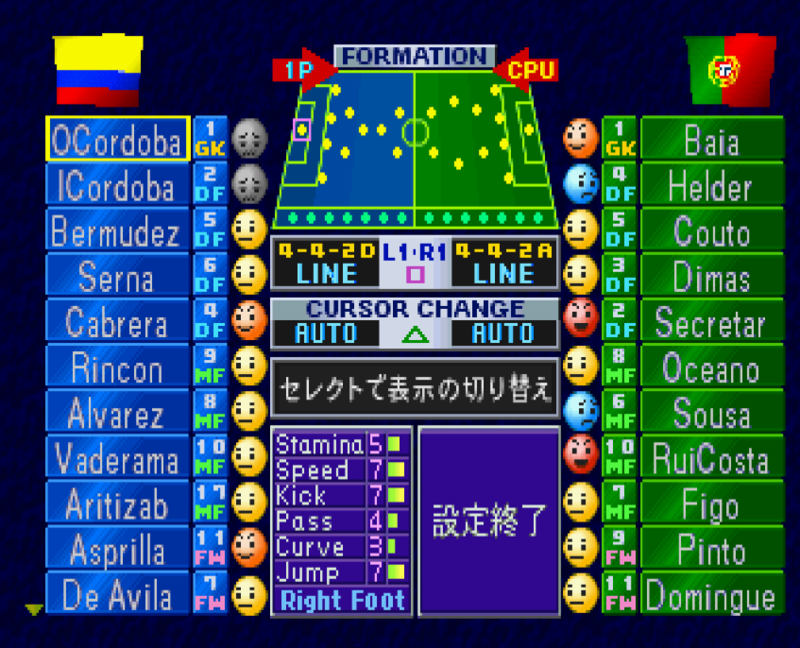 Although the game shares the same cover art with the Nintendo 64 game International Superstar Soccer 98 -- featuring colombian player Carlos Valderrama -- they are individual iterations of different game franchises, only released with similar name. This is a characteristic also shared with the previous game, ISS Pro. 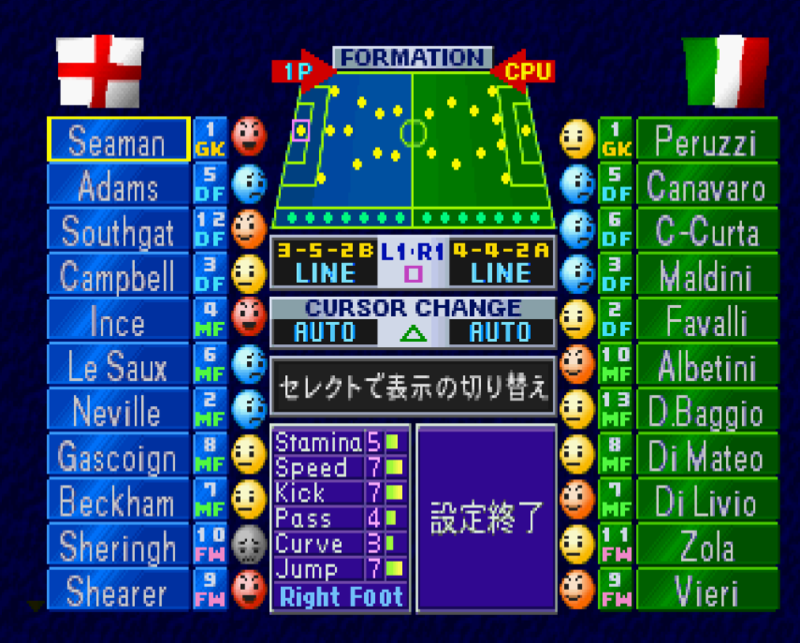 Winning Eleven 3: Final Ver. Whole look of the game is less vivid in order to increase the level of realism. Some home, away and goalkeepers kits have been updated (including the All Star teams). The appearance of goals and nets has been changed. 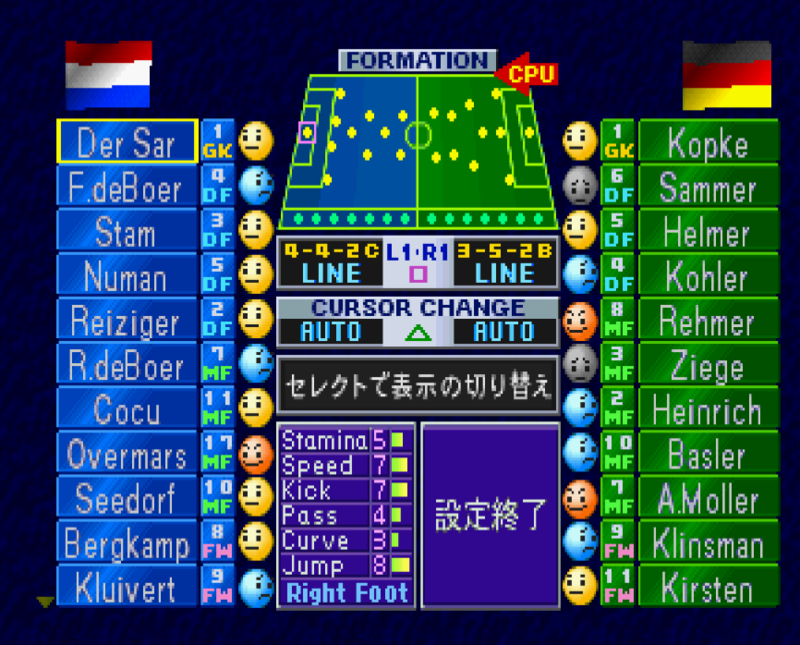 Squads have been updated to exactly reflect 1998 FIFA World Cup squads, the number of players in line-ups has been extended to 22 as well. Three difficulty levels instead of five: easy, medium and hard. The choice of match length has been widen to 30 minutes in spaces of 5. Match settings in Exhibition Mode now include the choice of uniforms, extended period, penalty shoot-out and golden goal. During the Cup Mode the statistics of scores and assists have been added. The imitation of Stade de France, the venue of 1998 FIFA World Cup, final has been added as a new stadium. The immediate replays after most interesting moments like missed shots, fouls or offsides have been implemented during the match. The most noticeable changes during play covered improved shoot system and added power slide bar during corner kicks. A new one-two pass method is added, allowing the first player to pass and run without the second player having to return the ball immediately. This new move added much more variety to the game. - Descargar .MCR Con Todos los Jugadores Traducidos con su PlayerName Correcto.